VILLA PARK, Ill. (WLS) -- A man was charged with a felony and a misdemeanor after a SWAT response and barricade situation in west suburban Villa Park Wednesday evening, officials said. Timothy Jackson, 25, was charged with one felony count of unlawful possession of a weapon by a felon and one misdemeanor count of resisting a peace officer, police said. Villa Park police said the incident began when officers showed up to a home in the 200-block of East Plymouth around 3 p.m. in regards to a DuPage County warrant. 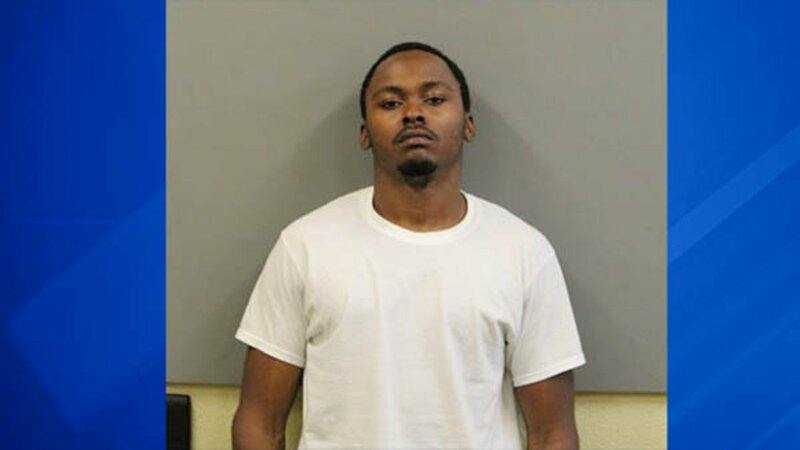 Jackson was wanted for questioning in two incidents: a call for shots fired in the 900-block of West North Avenue around 4 p.m. Tuesday and a taxi cab driver robbed also in the 900-block of West North Avenue earlier this week. Police said there is also video investigators are reviewing. Police said Jackson refused to leave his residence, even after being told he was under arrest. Police called for a SWAT team because they were concerned he may have a gun. Jackson walked out on his own after SWAT set off flash bangs, and was taken into custody. Detectives served a search warrant on the residence and recovered a handgun and ammunition, police said. Police said Jackson was taken to the DuPage County Jail to be held for bond court.